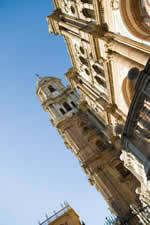 There is a great selection of hotels in Malaga Spain for us to choose from. Whenever we decide to travel and visit another country and their cities, we probably first think of when we want to go there, how we are going to get there and then we decide on where we would like to stay. Depending on how long we plan on staying and how much we have calculated our budget to be, we go on to choose a hotel in Malaga, searching high and low to compare location, prices, services and decor. If we were lucky enough to have saved a nice piggy bank full of money, then we should treat ourselves to a nice posh hotel in Malaga along the Boardwalk Promenade Street; in spanish called the Paseo Maritimo, or the Malagueta area, or along the Paseo de Antonio Machado with excellent views of the port or harbour. These hotels are surrounded by restaurants chocked filled with all the fresh seafood you can imagine. There are season specialties such as tender lamb with herbs or different ham combinations in the cooler seasons and fresh tuna fish accompanied by an array of creative salads. Just one step back from the port area, surrounded by a wooded area is the national Chain of Malaga hotels called the Parador de Malaga Gibralfaro, which is an elegant restored castle. Everyone dreams of spending an extravagant night in a candlelit castle in Malaga. Along this price line, there are various hotels which cater to business reunions, conferences and weddings, offering special rates and menus and a wide variety of sports activities to fill in the free time hours. To the right and left of the Avenida de la Rosaleda, in the heart of the city, you can find cute, comfortable hotels which have been redecorated to its original style, some going back to the 18th c. These are well situated in order to be able to tour the city and with good public transport links. 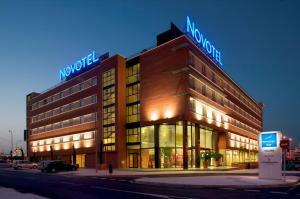 They vary in price, not as expensive as a five star hotel but not as inexpensive as some others we will discuss. Still another choice are pensions or youths hostels found around the city, with friendly owners, the essential services and excellent discounts. When people hear discount hotels, they wrinkle up their noses and shy away from even considering them. I have spent some very enjoyable stays in Malaga Spain in some very warm hostels which have offered me the basic commodities at very reasonable prices. If your visit is for tourism, then most likely you are to be out of the room from early morn to dusk. All you need is a hot shower and a comfortable bed when you return. The discount hotel in Malaga are usually centrally located. If you are arriving on a flight to Malaga, there is no Malaga airport hotel but there is convenient lodging for overnight stay in the nearby Guadalmar town or just jump on a bus and head for Malaga city just 20 minutes away. It does not matter if they do not have fancy restaurants or decor because all the hotel in Malaga are encircled by typical taverns or tascas as they are called, at affordable prices and with culinary delights to lick your fingers. Enjoy you hotel in Malaga.